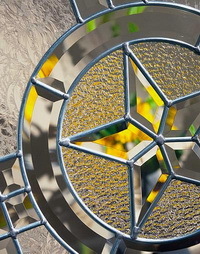 Elegant Star Caming, with a star-shaped bevel, textured glass, and nickel or patina finish, is a softer take on the motif. It provides a medium level of privacy. 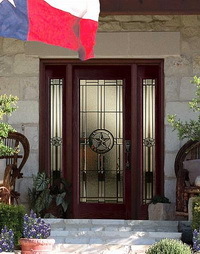 Whichever star reflects your style, you're guaranteed to create a beautiful exterior entry door.